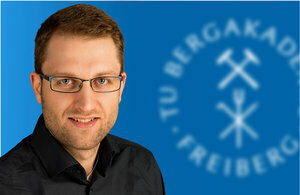 Robert Lösch is a research scientist and PhD student at the Institute of Computer Science at the Technical University Bergakademie Freiberg, Germany. He received his Master's degree in Robotics, Cognition, Intelligence at Technical University of Munich in 2017 and is currently working on the project ARIDuA (Autonomous Robots and the Internet of Things in Underground Facilities). His research focusses on autonomous driving underground, SLAM, and mobile robotics.